Hanuman Jayanti is celebrated on Tuesday 15th April in 2014. Hanuman Jayanti is celebrated on the 15th day of the Shukla Paksha. According to Hindu calendar it occurs in Chaitra Masam (March or April) Chaitra Purnima or the full moon day. Hanuman Jayanti is the birthday of Vanara God Hanuman. Devotees observe Hanuman Jayanti during different time of the year according to their regional beliefs. Hanuman Jayanti during Chaitra Purnima is the most popular one in North Indian states. 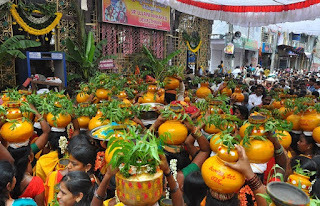 Some devotees observe deeksha for 41 days during the Chaitra Masam, It is similar to Ayyappa deeksha. Hanuman Jayanti is an important festival of Hindus. Hanuman was born at sunrise. In the Hanuman temples on this auspicious day spiritual discourses starts before sunrise and ends after the sunset. God Hanuman devotees observe fasting this day. Chanting of Hanuman Chalisa on Hanuman jayanti for 108 times is a common ritual. Chanting the name of Lord Sri Rama also would please Lord Hanuman. A sweet prepared using rice flour and Jaggery is offered as Naivedyam on Hanuman Jayanti. at the time of sunrise spiritual discourses will be stopped and the offers Naivedyam to the god then it is distributed to everyone. on this Hanuman Jayanti specially the Thamalapaku (Betel) is tied to the thread like a haram and this will be decorated to the statue of Lord Hanuman. Hanuman statue will be decorated with chandram (Orange color). Devotes will use chandram as tilak. Hanuman is the symbol of strength and energy. 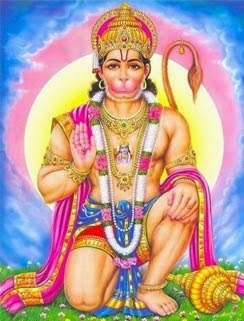 Lord Hanuman is a great devotee of Lord Sriram. Hanuman is also known as Anjaneya (Because Son of Anjani), Vayuputra (Because Son of Vayu devudu) and Chiranjeevi (Because his life is endless). Hanuman is the one of the importent character in epic Ramayana.